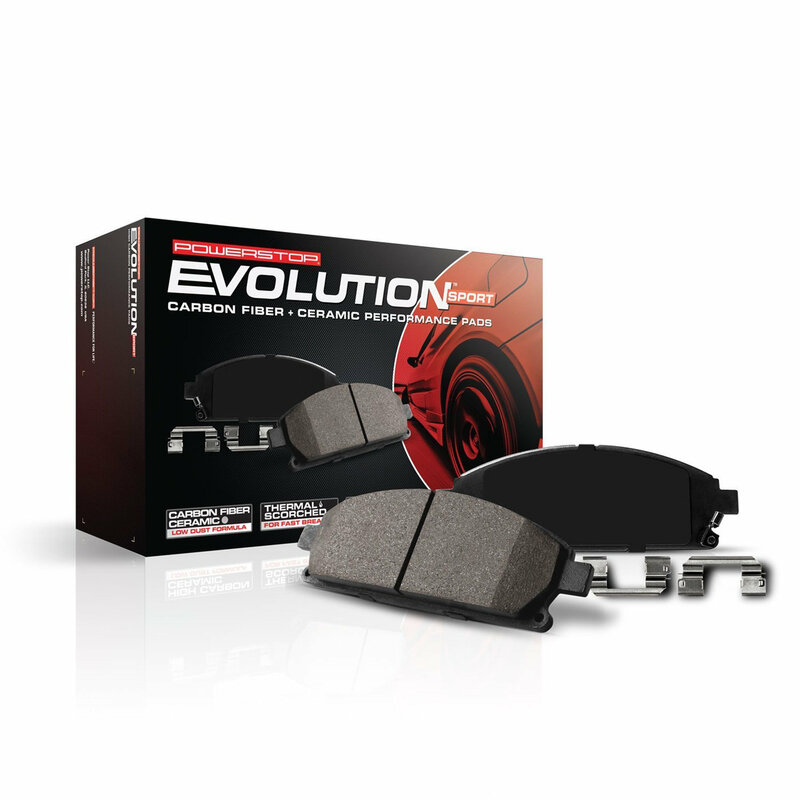 Power Stop Z23 Evolution Sport Front Brake Pads are just what Jeep enthusiast are looking for when it comes to getting the most out of their 18-19 Jeep Grand Cherokee Trackhawk without sacrificing everyday drivability. These Carbon Fiber/Ceramic pads resist fade up to much higher temperatures than OEM pads. They offer exceptional grip and stopping power when your brakes are needed the most. This Power Stop kit is engineered to provide a low dust & noise-free upgrade over your stock brake system. The low-dust ceramic formula brake pads are reinforced with carbon fibers to strengthen the compound. Along with being dust free and noise-free, the Kit includes a premium stainless steel hardware kit . Power Stop Z23 Evolution Sport Brake Pad Kits make it simple to increase the braking power of your jeep, and give you the reliable and safe Braking that you require on the trails and on the street. Ceramic brake lubricant is included in every brake pad set for a finished installation. Premium Ceramic Front Brake Pads: All Power Stop Ceramic Brake Pads feature a dust-free friction formula and noise-free stopping power. Safe and Reliable: The low-dust ceramic formula brake pads are reinforced with carbon fibers to strengthen the compound. Power Stop Z23 Evolution Sport Brake Pad Kits make it simple to increase the braking power of your jeep, and give you the reliable and safe Braking that you require on the trails and the street.